Compact, toptube mounted pouch ideal for gels and snacks. Secure, three Velcro strap design. Molded EVA foam structure with durable nylon cover. Elastic midsection expands to accommodate different size content. Velcro-mesh cover keeps items in place. TriRadar recently got a hold of our Energy Caddy to test out how much energy you can really pack into this organizer. 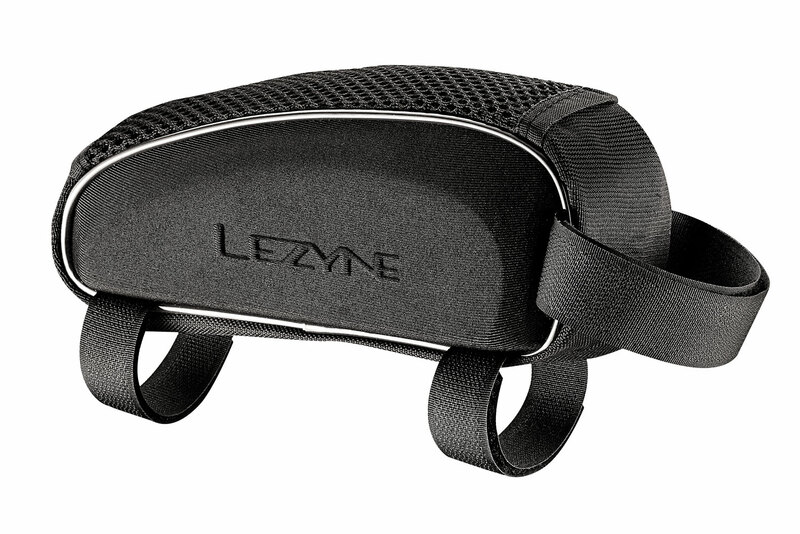 They were impressed by the results, giving our Lezyne Energy Caddy a 4-out-of-5 in all three categories, including: performance, value and overall rating.